We pride ourselves on FANTASTIC SERVICE! Open since 1992! 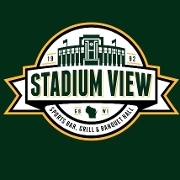 Centrally located in the heart of the entertainment district, Stadium View Sports Bar & Grille has the closest parking to Lambeau Field for all Packer games as well as any Resch Center, Brown County Arena and Shopko Hall event. 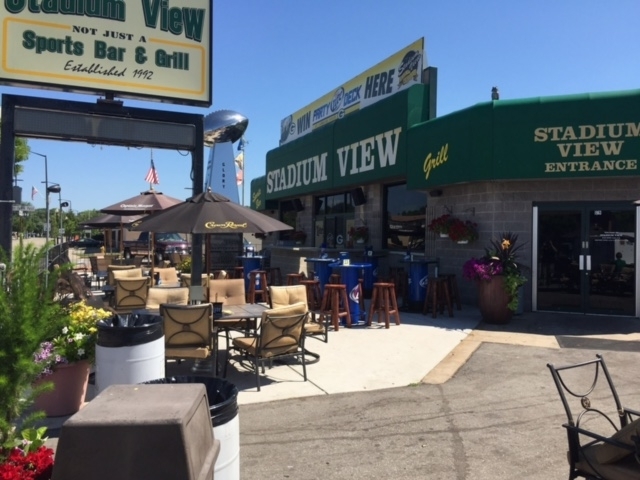 While visiting Stadium View, you are just footsteps away from historical attractions including Lambeau Field, Packer Hall of Fame, The Don Hudson Center and the Walk of Legends. 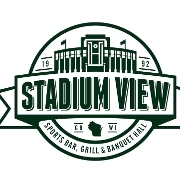 Stadium View is also known for specializing in first class receptions and events of all sizes. Whether you are planning a wedding, corporate meeting, trade show or a holiday party, our event planners will assist you to ensure all your needs are met for a successful event. If you plan to stay a few days please note Stadium View Sports Bar & Grille is within walking distance of 4 major hotels: The Hilton Garden Inn, Spring Hill Suites, Best Western Midway Motel and the Quality Inn.